2003. Saul's new solo album FIELDS has been very hotly anticipated by those who have heard parts of it (one track appeared on the Atmoworks compilation PORTRAITS), as it represents at once a revisiting of the familiar Stokes sound, as well as a venturing into some very new territory. Each of his releases on Hypnos has shown growth and development over the previous recordings, and FIELDS is perhaps the greatest leap yet. A prominent radio producer who heard the album predicted FIELDS would be the best album of this year. This is modern electronic music with an individual artist's unique personality clearly expressed throughout. "I was fortunate enough to have heard 3 advance cuts a while back and was definitely impressed. I wrote briefly about it calling it a "Moss covered Kraftwerk" I find it very different from Saul's other work. I must admit I haven't heard his whole body of work, but what I had heard was in the drone/ambient category. This music has a pulse to it. Chord progressions and melodic hooks that display and extraordinary sense of clarity and craft. The music is Saul's own. I have a hard time finding reference points. I can see this appealing to both old school EMer's and those who prefer more cutting-edge modern work. 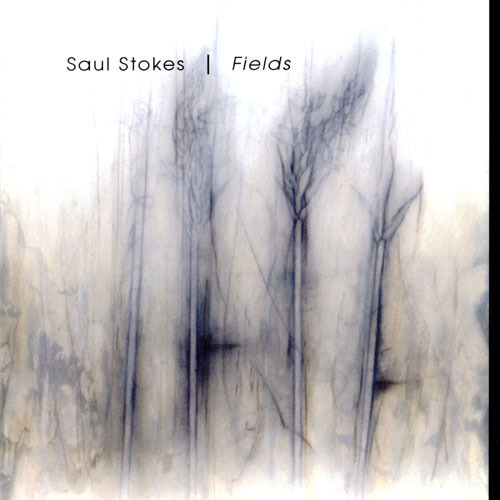 I understand that Saul composed the pieces on a piano before making arrangements on his hand made synthesizers (Not from a kit... he builds them from scratch.) This is an album where the music is on equal level with those endlessly fascinating tones and textures that drew us to synths in the first place. Sometimes albums are really good with one or the other facet, but Fields is firing on all cylinders. The music has an organic life that I find exists in the best electronic music. This is a genuinely stunning album. I can tell that this one will be getting a lot of airplay here. It's been a while since I've been this excited about a release."